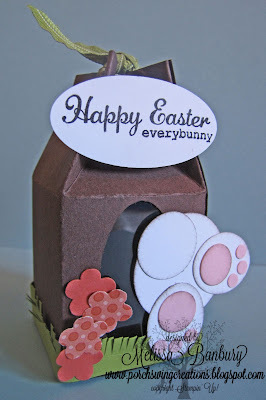 I've seen a few of these bunny bums on projects around the web lately so I decided to feature one at this month's card class on a 3D project. Cute, right? 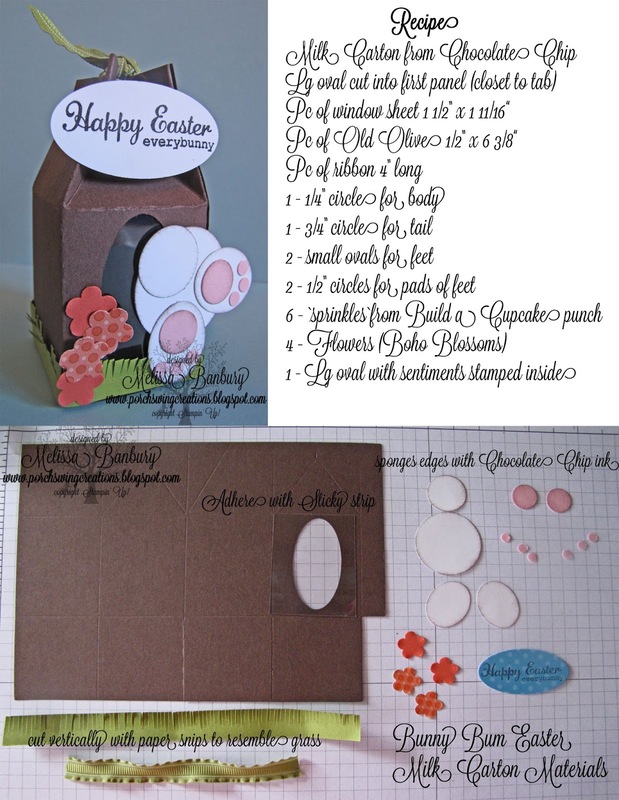 They are super quick to make, especially using the milk carton die - what a great little Easter gift just to let someone know your thinking of them. I'm pretty sure my boys will be delighted to get one of these Easter morning with a few little treats inside! I made a simple recipe sheet for my gals so they could have a reference and thought I'd share it with you so you could whip up a few of these cuties yourself! (The only variation is I actually used a retired punch called Triple Flower on my example but I list current punch called Boho Blossoms in my recipe sheet and the punch for the body should read 1- 1 1/4" circle punch). These are just too stinkin' cute! Thanks for sharing your awesome instructions! I'm off to stalk the rest of your blog. 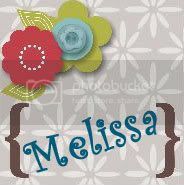 This is so cute - thank you for sharing!